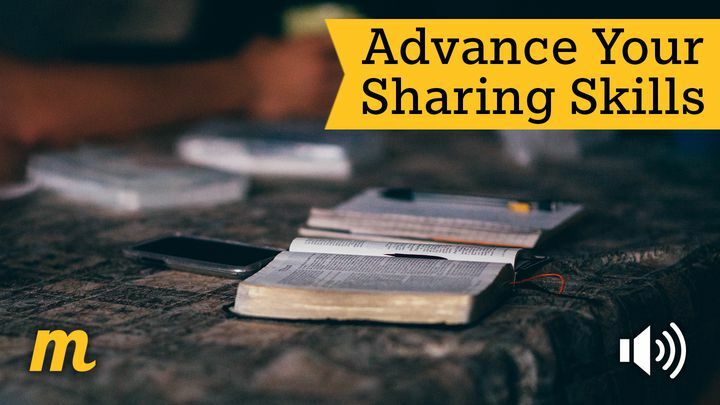 Advance Your Sharing Skills - As you begin to talk more with others about Jesus, it is important to develop your sharing skills . Growth involves learning how to share about Jesus more naturally and frequently. Each of these devotionals contain a short audio message (1-2 minutes). The guests talk about spiritual mentors, your personal story, challenging circumstance, sharing online and overcoming fear. As you begin to talk more with others about Jesus, it is important to develop your sharing skills . Growth involves learning how to share about Jesus more naturally and frequently. Each of these devotionals contain a short audio message (1-2 minutes). The guests talk about spiritual mentors, your personal story, challenging circumstance, sharing online and overcoming fear.